Home » Food and Drink » Health Tips » Healthy Lifestyle » Reduce Salt Consumption, These Side Effects If Too Much Salt Consumption! Reduce Salt Consumption, These Side Effects If Too Much Salt Consumption! Reduce Salt Consumption, These Side Effects If Too Much Salt Consumption. At the annual Conference of the American Heart Association to 49 with the topic Epidemiogi and prevention of cardiovascular disease held in Palm Harbor, Florida on 10-14 March 2009 stated that every gram of salt reduced in eating each day on any Americans would reduce 250,000 cases of heart disease, and reduce the more than 200,000 deaths for 10 years. 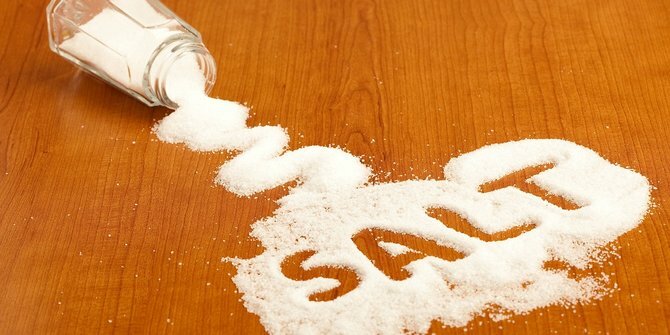 to estimate the advantage of a reduction in salt intake, the researchers used a computer simulation model of heart disease on pupulasi American Society of adults. The researchers used a model to estimate the influence of a reduction in daily salt intake by as much as 0-6 grams on the incidence of onset of cardiovascular disease and death due to cardiovascular in 2010-19. On the period foreseen that more than 800,000 lives could be saved for every gram of salt is reduced. Peeliti found that a reduction in salt consumption as much as 3gram/day (1,200 mg of sodium) will reduce the occurrence of cases of heart disease by as much as 6%, heart attacks decreased 8%, and deaths due to heart disease was reduced by 3%. Even at American cemderung Africa population has high blood pressure and blood pressure are more sensitive to salt the decline in heart disease is reduced by 10%, 13%, heart attacks and deaths due to heart disease by as much as 6%. Currently the American population consumes 9-12 g salt/day (3,600-4,800 mg of sodium) which is higher than the amount recommended by as much as 5-6 g/day or 200-2400 mg sodium.